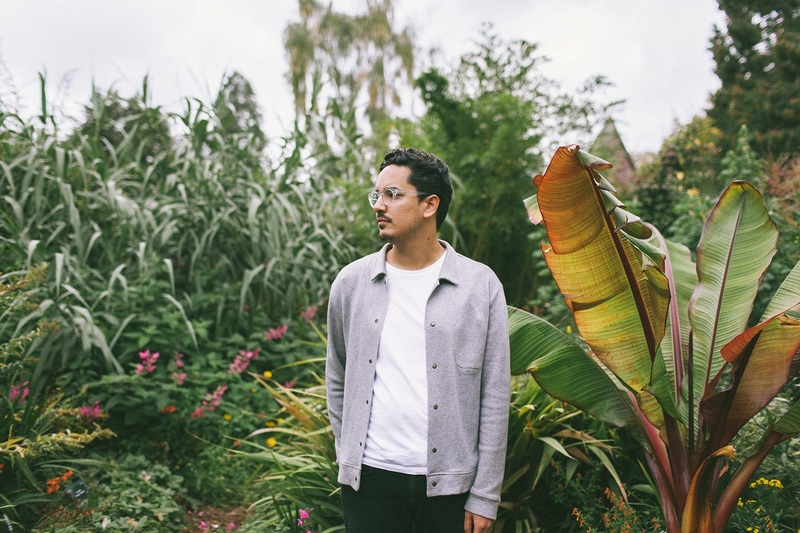 Luke Sital-Singh’s spirited “Raise Well” off his third album ‘A Golden State’ embraces the future’s possibilities with hope and love, shining with effusive energy and endearing folk rock charm. Sometimes, all we need is a little change of scenery. 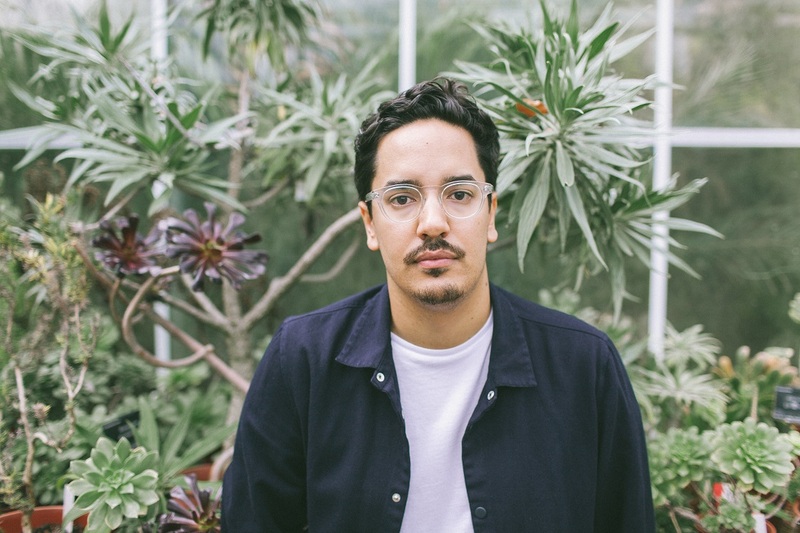 For singer/songwriter Luke Sital-Singh, the past two years have given him a chance to sit back and reflect on life’s coming and goings – where he’s been, where he is now, and where he hopes to be in the future. His enchanting, relaxed new music finds him in a place not of happiness, but more so of fulfillment: Songs like the spirited “Raise Well” embrace the future’s possibilities with hope and love, shining with effusive energy and endearing folk rock charm. Atwood Magazine is proud to be premiering the music video for “Raise Well,” taken from Luke Sital-Singh’s recently-released third album A Golden State (out now via Raygun Records). With a warm lilt akin to American singer/songwriters Iron & Wine and Gregory Alan Isakov, Britain’s Luke Sital-Singh immerses listeners in an intimate array of emotion set against a refreshing expanse of heartland folk and soft rock. The follow-up to 2017’s Time Is a Riddle, Golden State introduces a new chapter in Sital-Singh’s artistry marked by movement, change, and new inspiration. 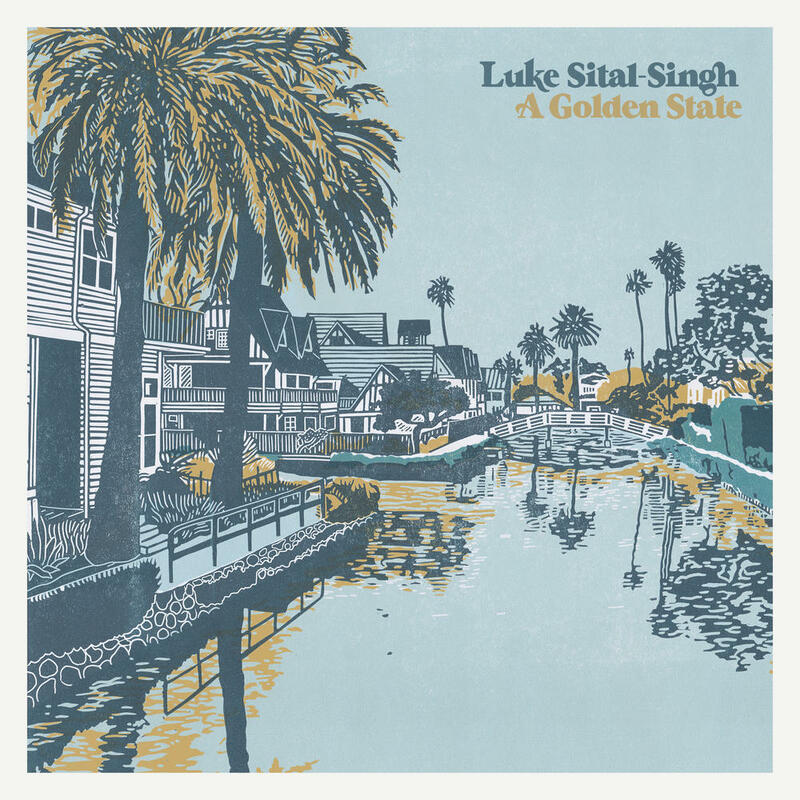 A Golden State is, in some a sense, Sital-Singh’s tribute to his new home of California; he and his wife Hannah recently moved across the pond from Bristol, relocating to the sunny West Coast. Do you remember when the nights felt heavy? Do we know what we’re looking for? Directed by Jamie Carter, Sital-Singh’s “Raise Well” music video has a homey feel, finding him in various spots throughout what looks like a home studio, completely invested and existing in the moment. We feel his presence in the present, but also his focus on what’s next for him as he wonders what his future holds. It’s an intimate look into the artist’s inner sanctum – a welcome invitation to join him in his happy place, basking in musical reverie. “Raise Well” is a faithful encapsulation of the beauty ready to be found throughout the album – a soundtrack full of love, life, hopes, and dreams. 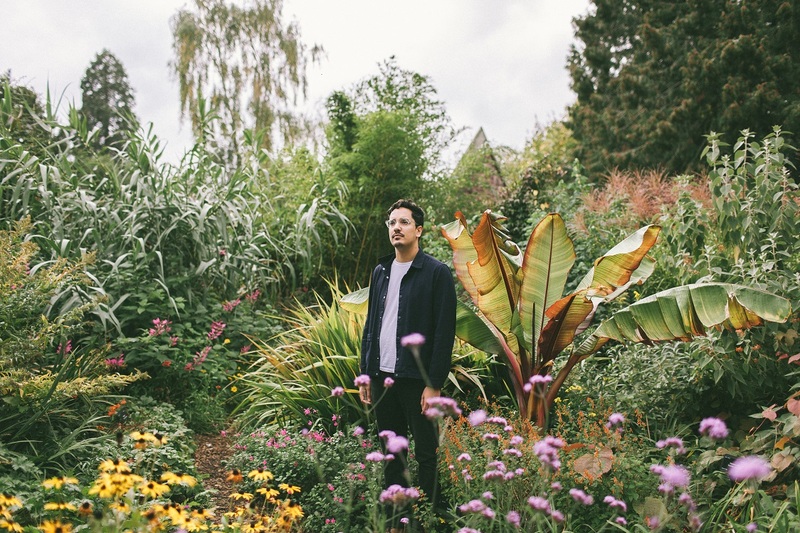 Experience the full record below, and peek inside Luke Sital-Singh’s A Golden State with Atwood Magazine as the singer/songwriter goes track-by-track through his third album! Lover was one of the first songs I wrote for the new album. It was one of the first ‘keepers’. At the beginning of the album writing process I’m mostly fumbling around in the dark trying to spark some kind of new sound or atmosphere in my songs that make me feel like I’m moving forward rather than treading the same old path. For me that’s not necessarily something crazy different like a whole bee genre or whatever but it needs to feel significant to me. When I finished writing Lover I knew I had found that new thing and it really helped me gain momentum in finishing the rest of the songs. “Raise Well” is a song about raising kids. Sometimes my songs have a few more layers to them but this one is what it is. I don’t have kids but it’s something I would like and I think about a lot. I tend to write songs about the things I think about a lot. The running theme on this album is the future. Wondering what’s next. About wanting to change things up. The idea of having children one day definitely fits into that idea and of course I worry that I’d be pretty crap at raising kids. Another very on the nose song lyrically. My wife and I were in the process of moving to LA when I was writing this album, that’s a fairly big life change for anyone I guess so it occupied a lot of my mind. There was bound to be a song about it. This is that song. A song about fear and anxiety and excitement and hope. I questioned this song a lot. Mostly because of how specific it is to me, I wasn’t sure it would connect with my audience. But it seems to have gone down pretty well. Phew. Another song where I imagine the future. This time not quite as pleasant as imagine having children. For some reason I sat down and wrote a song about what it would be like living the last day of my life. Cheery stuff. I’ve always loved songs that have strong narratives. Dylan obviously being a big inspiration for this, but also Josh Ritter who has written some of my favourite story based songs. I’ve attempted to write in this way many times and it’s never worked. For some reason this time it did. I don’t think i’ve been more proud of a song in terms of its craft and lyricism as this one. I like it. A simple love song through and through. I’ve been married for 5 years. That both feels like a long time and a very short time but at least an amount that deserves recognition. So I wanted to write a song reflected on all that those 5 years have meant to me, and thinking back on the wedding day and all that schmushy stuff, and it just needed to be a piano ballad. Come on, what else? I was listening to Damien Jurado’s latest album and there’s a song on there that just spoke to me. The vibe of the production more than anything. The sound of it. So i wanted to rip it off basically. Haha. Basically just a piano and a drum beat with different other bits coming and out. It’s a straight rip but I’m not ashamed. I wrote the actual song whilst dog sitting for some friends in Cardigan in Wales. Which is one of my favourite places in the world. They live on an old farm. There’s a piano in the dining room. I sat there thinking about what it feels like to be so far away from city life with a dog sitting on my feet as i played the piano. I was in a meditative state, which i think is expressed well through the sound of the song. This song had the biggest transformation during the recording process. My demo was pretty crap and no one really liked the song. Apart from me. I fought for this song to be included. There was something about it I loved. My producer Tommy didn’t like it and we had to try quite a few different vibes before we landed on this radiohead inspired sound. It’s still probably my favourite song. Another one about death and the afterlife and what matters in this crazy life. This is another move to LA themed song. Part of the journey was getting sick of bad weather. My wife Hannah is more affected by the winter months than I am, but we both tend to fall into a pit when its miserable, cold and rainy outside for most of the year. So we wanted away from all that. So we moved to California! hurrah. On a slightly deeper level it’s a song about finding a relationship harder when external things aren’t going well. How we take things out on each other and trying to move through all that kind of thing. Also that guitar solo took me like 50 takes! Final songs on albums are always important to me. You’ve got to end well. Hearts Attach was the last song I wrote for the album. Another one I wrote out in Wales on my friends farm. I wasn’t thinking my marriage and the comfort and complacency of my life and the idea of blowing it all up. Or just going back in time to when things were more exciting and romantic. It’s a song about getting older and wanting to stay younger. Which is basically what the entire album is about.